"Ya Jaddi!" "Marhaba Ya Waladi"
The 350-year-old Ameen Peer Dargah (Badi Dargah) in Cuddapah is an example of the communal harmony preached by great saints and sages in ancient days. Come Thursday and Friday, scores of pilgrims cutting across religious faiths, throng the shrine, seeking blessings of saints Peerullah Hussaini and Arifullah Hussaini II who lie buried here. Followers of the dargah believe that any wish that one makes at the shrine is always fulfilled. A large number of Hindus, Muslims and people of different faiths are disciples of the shrine. The family’s descendants identify themselves with a saffron dress, and the disciples wear a saffron cap. Arifullah Hussaini II was a devout Sufi and he immersed himself in the love of God. Legend has it that he once paid a visit to his grandfather’s tomb at Bidar. The gateman asked for his credentials and refused to open the door for him. The saint called (Ya Jaddi, O' father) loudly. Then a voice from the tomb (Marhaba Ya Waladi, Come, my son) welcomed him. The door automatically opened for him. Arifullah II spent some time there, and then shifted to the mausoleum of Ameenuddin Aala at Bijapur. He went to Ahmedabad and Ajmer, where he received instructions for going to Tadipatri (Anantapur District). He spent 40 years in deep meditation and prayers in the caves and forests of Tadipatri. It is also believed that a python used to stay guard outside his cave. He came to the forests of Gandi in Cuddapah district and spent his time in prayers till he turned 63. Besides being a saint of high order, he was also a great scholar, and an eminent poet. There is a wide hall aligned along the east west axis containing a number of tombs. The highest tomb among them belongs to him, whose Urs is celebrated in Jamadi’ul Awwal (5th lunar month) of Muslim calendar. It is the biggest Urs of South India. The entire mausoleum complex is popularly known as Aasthana-e-Maqdoom’ullahi. This Urs brings millions of pilgrims to Cuddapah from every nook and corner of the country, from as far as Delhi, Agra, Ajmer, Chennai, Bangalore, Calcutta, Jammu, Ahmedabad, Mumbai and Bhopal, and so on. The main festivities start with the sandal paste ceremony. It is taken out in the night and Fateha is offered at the tomb of the saint. The sandal paste is treated as Tabarruk (prasada) and is distributed to the devotees. The main Urs ceremony is held on the second day. Fakirs and devotees present Chadar at the tomb of the saint. Qawwali programme is held on both nights. A national-level Mushaira (poetry programme) is held on the third night which continues upto early morning. Besides common pilgrims who come in hundreds, any celebrity who comes to Cuddapah pays a visit to the shrine without fail. The famous music director A R Rehman, actors Aishwarya Rai and Abhishek Bachhan have visited the shrine. The shrine is one of the most peaceful and serene spots in Cuddapah, free from distracting noises. One should pay a visit to this shrine to savour the magic of silence, if not for anything else! Srinagar: Brushing aside the reservations to their performing live in Kashmir, Pakistani Sufi-rock band Junoon has asked separatist and militant groups to join them tomorrow in a "musical Jehad" to usher in peace and harmony in the state. The band arrived here today, set for a high-voltage show along the banks of the Dal lake including their runaway hit `Sayouni..` from the self-titled debut album which propelled them to stardom. "We will sing songs of unity, peace, brotherhood and joy, and this seems to be the perfect setting for these kind of songs," guitarist Salman Ahmad said, trying a few bluesy riffs ahead of their maiden gig. President Pratibha, who is also on her first official tour of Jammu and Kashmir, Union Minister Mani Shankar Aiyer, Governor SK Sinha and Chief Minister Ghulam Nabi Azad are expected to be would be among the invitation only audience at Sher-i-Kashmir International Convention Centre. Asked about the opposition by United Jehad Council Chief Syed Salahuddin and Hardline separatist leader Syed Ali Shah Geelani to their performing in the Kashmir valley, Ahmad said "I want them to join us in a musical Jehad for peace and ring the bells of harmony", a sentiment echoed by Tabla player Samir Chatterjee. The fusion band members now settled in the US first visited India in 1998 and have since been trying to get permission to perform in the valley. "Finally, it has come through and I am happy," Ahmad said. On settling at the centre, Junoon got down to a rehearsal and fans could expect their rendering of the poetry of Bulleh Shah, Iqbal and Maulana Rumi, combining the gruff vibrancy of rock with the lilting strains of sufi music. South Asia Foundation, a no-profit organisation, is organising the music event in collaboration with Kashmir University to promote peace in the border state hit by nearly two decades of violence. Though Pakistani singers have performed in Kashmir over the past few years following the thaw in Indo-Pak relations, this a first for a rock band of the status of Junoon. It has a huge fan following in the valley, especially the youth. The organisers are not organising an open sale of tickets, but are issuing 10,000 invitation passes, most of which will be issued to students of Kashmir University. Dr Madan Gopal Singh, a well-known expert in the fields of art and cinema and scholar of Sufi music would be conferred with the first Sant Singh Sekhon Sahityarth award on May 30. The award, named after the theory of literature Sahityarth, a book published half-a-century ago, has been constituted to mark the100th birth anniversary of eminent writer Sant Singh Sekhon. On this occasion, prominent literary figures would present their papers on Sant Singh Sekhon’s literary contribution. “Madan Gopal Singh has been chosen for this award because of his contribution to Punjabi Sufi music,” informed Dr Tejwant Singh Gill, associated with organising the function. As a music director, Dr Madan Gopal Singh has worked for the acclaimed Indo-Pak French production — Khamosh Pani — besides writing scripts, acting and singing in films. He has also lectured extensively on cinema, art and cultural history in the international fora. [Picture from Digital South asia Library; Journal of Arts and Ideas http://dsal.uchicago.edu/books/artsandideas/]. During sunset, Sheikh Abdul Aziz Bukhari, a leading adherent of Sufism, worships on the roof of the Naqshabandi order's school for meditation on the northern edge of the Aksa complex in Jerusalem. Sheikh Atallah Nasser, the reciter at the Aksa Mosque, joins him in prayer. As the two men bow forward in unison, the wavering call of the muezzin pierces the air. Later in the evening Bukhari, dressed in robes and shrouded in a thick fog of incense, takes a seat outside. Nasser begins to sing Sufi songs, while fellow adherents, including the imam of the Dome of the Rock, beat drums and clash cymbals. The image is one of a religious sect that manages to combine solemnity and joyousness. Sufism is often lauded as the moderate face of Islam, and here in Israel the Naqshabandi Sufi order advocates interreligious tolerance and places a great emphasis on fostering feelings of love. Some Sufis argue that this tolerant spirit is fostered by a divine connection to other mystical movements, which transcends the religion from which they are derived and commentators are optimistic that it will come to overtake more fundamentalist approaches to the Koran, such as Wahhabism. "Sufism," Bukhari says, "is based on worshiping God, not because we are ordered to worship God, but because we love God. A strong connection to Sufism makes you love everything in existence, love humankind and love the things which God ordered us to do." In a typically enigmatic metaphor, he adds that the highest attainment of Sufism is to "swim in the ocean of God," meaning that the mystic becomes completely immersed in God's presence. "Because you are uniting yourself with God, all your actions and thoughts are aimed at Him." This leads to results one might not normally associate with Islam. Bukhari, who sees himself in a family heritage dating back to the ninth-century scholar Ismail al-Bukhari, is a member of Jerusalem Peacemakers, a group which aims to establish interfaith tolerance. Respect for other religions, he says, is essential to Sufism. "There is a saying [in the Koran] that you are not a believer unless you love for others what you love for yourself. From this, Sufism established love among religions." His work with the Jerusalem Peacemakers means that he is in contact with rabbis who also get involved in outreach groups. One of the group's more recent projects has been to decorate the partition wall between Israel and the West Bank with posters of Muslims and Jews from the same professions pulling faces for the camera. On the wall near Bethlehem, Bukhari can be seen wearing a fake beard next to his friend Eliahu Maclean. There is a school of thought, often termed "perennialist," which says that this capacity for religious outreach, which Sufism seems to display, comes from a divine connection to mystic traditions from other religions. Rabbi Menahem Froman, a kabbalist who lives in Tekoa, where he teaches the Zohar, like his Muslim counterpart in the Old City emphasizes the importance of unity to religious experience. He explains that the Zohar, Kabbala's integral text, attempts to find a "covenant" between man and God through rejecting the false temptations of the "Tree of Knowledge" and embracing the "Tree of Life." Dr. Avraham Elqayam is professor of mysticism at Bar-Ilan University. He has an attachment to Sufism which clearly goes beyond the academic. He himself has meditated with Sufi sheikhs and he explains that the actual practice of mysticism is an integral part of his course. "I can tell you what an apple looks like, I can tell you its shape and color, but I can never tell you how it tastes," he says. "You must taste it yourself to find that out. It is the same with mysticism." Froman says, with a wily smile, that he is a Jew in the sense that he believes in the power of the prophets, but he's not a Jew in the sense that he doesn't share in his people's hubristic notion of being God's chosen people. Elqayam, meanwhile, argues that God does not have a religion. He claims that when you break through the confines of self-awareness, you stop thinking in terms of man-made concepts such as religion. As he points out, Sufism shares this history of rejecting religious constraints. However, Dr. Jonathan Garb of the Hebrew University, says that while the spiritual connection between different forms of mysticism is important, a certain amount of Sufism's influence on Jewish mysticism was a result of cultural strains in societies where Jews were a minority faced with the pressure to conform. Garb also claims that it is generally impossible to view mysticism outside of the context of its own religious tradition and that it would thus be naive to view mystics as connected to one another rather than to their own religions. "As the aim is often the performance of God's will through practice," he says, "it is hard to differentiate between aims and practice. For example, much of kabbalistic meditation is on the regular Jewish prayers. This is an example of how the kabbalistic path is embedded within a wider religious context." Garb also warns against seeing Sufism as the pluralistic and accepting face of Islam, or of drawing this conclusion about mystics in general. "There is no reason to assume that mystics are more or less tolerant of other faiths than other religious persons," he says. "Ibn al-Arabi, heralded as a universalist, forbade Muslims to dwell under non-Muslim rule and opposed a peace treaty with the Christians." Although many Sufis see mystical experience as something indescribable, there are notable exceptions. Dhul Nunal-Misri (d. 861) espoused the doctrine of irfan - direct knowledge of the divine, and was subsequently arrested by Caliph Mutawakkil. Even more controversially, Al-Hallaj (d. 922) pronounced "I am God," and ultimately paid with his life. What mystics see as a profound utterance of a man's unity with God, Islamic clerics saw as a man putting himself forward as a false idol. According to an article on ww4report.com, Sufism has been in this conflict with mainstream Islam since its inception, but it has now been thoroughly defeated by fundamentalism. "The fundamentalists today," it says, "attack the surviving Sufis, seeing their struggle as a unified jihad against both imperialism and heresy." The oppression is ongoing. In November the Associated Press reported that dozens of Sufis of the Nematollahi-Gonabadi order, which has had an increasingly uneasy relationship with the Islamic Republic of Iran's clerical regime, were shot and wounded by police. Their lodge was reported to have been bulldozed to the ground. Meanwhile, the article argues that Sufism has lost popular support to fundamentalism, because it preaches a form of universalism which is now associated with the West. "All over the Islamic world, the disaffected flock to Wahhabism and related doctrines as the alternative to the corruption of official leaders and their supine stance before imperialism and globalization," it claims. " And because imperialism and globalization have appropriated the mantles of secularism, pluralism, tolerance, universalism - these are also being rejected. This final reality has much to say about why it is Wahhabism rather than Sufism that now provides the wellspring of resistance." [Picture: Sheikh Abdul Aziz Bukhari in his Jerusalem Old City home. Photo: Jorg Luyken]. There comes a time when even travel writers no longer feel like travelling; they return home, exhausted, to explore their roots. Tahir Shah, who has described his exotic adventures in Peru, India and Ethiopia, has reached that stage. His previous book, The Caliph's House, began the process, describing life in his home in Casablanca. But a recent experience in Pakistan's North West frontier accelerated it. Arrested with his film crew on suspicion of spying for al-Qa'ida, he was held in an interrogation centre called "The Farm" and subjected to weeks of sustained cross-questioning. What sustained him were memories of the stories he was told in Morocco as a child. Tahir Shah is a storyteller's son; his Afghan father Idries Shah achieved fame in the West with The Way of the Sufi, collected Arab stories, and came from a long line of writers. While Tahir has told many a traveller's tale over 12 books, this is perhaps the first time he comes so consciously into his family's inheritance. Exiled in England, Idries had been unable to take Tahir and his sisters back to troubled Afghanistan, so instead had taken them to Morocco – to which Tahir now returns with his own children, following his father's obsession with the importance of fable and finding "the story in your heart". He encounters five boys outside a cinema in Tangier: they are pooling their slender resources to buy a ticket for the youngest. When Shah asks why, they reply that it is because he has the best memory, so can recite the film to them afterwards. This is a book about the power of memory and the spoken word – particularly the Arab word. The interlaced stories of the Arabian Nights serve as a model for Shah's wandering minstelry. From the delightful domestic chaos of the Caliph's house, with its disruptive djinns, he criss-crosses Morocco searching out those storytellers, often illiterate or blind, who still practise the old oral traditions. The fables he finds are as memorable for the closeness with which their custodians treasure them as for the simple parables they tell. For the Sufis, "stories are a kind of key, a catalyst, a device to help humanity think in a certain way, to wake us from our sleep". Islamabad: The five-day Urs of great spiritual leader and saint Hazrat Shah Abdul Latif, popularly known as Hazrat Bari Imam, started at Noorpur Shahan on Sunday. Syed Abdul Latif Shah Kazmi Mashhadi was born in 1026 Hijri (1617 AD) in Choli Karsal, a village in Chakwal district. Hazrat Bari Imam, who died in 1708, was a contemporary of Mughal Emperor Aurangzeb and was widely respected for his tolerant views. The Urs is celebrated as a tribute to his legacy. The wreath-laying ceremony was held after Asar prayers to mark the beginning of the Urs. Thousands of followers of Hazrat Shah Abdul Latif from all over the country have already arrived to attend the annual spiritual event. Many of them came there walking barefooted miles.The Urs celebrations, which will continue till May 29, attract over a million people from around the country every year that come here to pay homage to the great sufi saint. The Gulf state of Qatar is getting into the international film biz with "Rumi -- The Fire of Love," an English-language biopic of Rumi, the 13th century Persian poet, with Deepak Chopra on board as script consultant. Pic, casting in L.A. for an A-list U.S. star to topline, is budgeted at $25 million, the bulk of which is to be provided by the Qatar Foundation, headed by Sheikha Mozah, wife of the Emir of Qatar. Indian helmer Muzaffar Ali, who has long been associated with Sufi music and Sufism, will helm "Rumi" with Oscar-winning lenser Vittorio Storaro on board behind camera. Italo producer Igor Ubaldi is shepherding via his Rome-based Istar Prods. Uboldi said shooting is expected to start in January in Turkey and other Middle Eastern locations where the founder of the order of the Whirling Dervishes embarked on his spiritual quest in the Middle Ages. Rumi's poetry has been widely translated globally, with millions of present-day readers. The "Rumi" project is the first of what is expected to be a number of film initiatives Qatar announced this year. [Picture: Her Highness Sheikha Mozah Bint Nasser al-Missned. Photo from Her Highness Official Website http://www.mozahbintnasser.qa/output/page1.asp]. The condemnation of any form of Islamism, a significant political component throughout the Muslim world, often results from the simplistic and reactive perception that the majority in the West have toward Islamists. The recent eruption of the al-Qaida generation has further entrenched this misconception and created more barriers to understanding and interacting with this phenomenon, which is much more diverse and widespread than many in the West believe. The creation of identity concepts and lexicons is the greatest common denominator that can be effectively applied to all expressions of the Islamist phenomenon. Their very existence show the effectiveness, social mobilization and political diversity of Islamic political actors – qualities that have enabled Islamism to gain much more ground than previous ideologies, even Arab nationalism. Islamists are using Western identity concepts to suit their own agenda. For example, they apply Western notions of modernization to their local contexts, such that "modernity" is not automatically associated with Westernization. The West, in turn, finds this localized treatment of their symbols irrational. But the West's reaction is itself irrational, because it views those policies named "Islamist" as calling into question its monopoly on the definition of "modern," and does not realize the impact of creating the universal modernity. Using the hypothesis of the identity criteria of "resurgent Islamism" authorizes a first important methodological conclusion: an identity movement by nature goes beyond the limits of social groups. Its analysis cannot be done effectively by using the instruments of classical sociology, which limit themselves to socio-economic parameters. The Islamists are, in actuality, not poor or underemployed, nor rich, not young or old, not bourgeois intellectuals, civil or military, men or women. They are all of these categories at once, as were, historically, the players from other movements who employed a form of identity resistance, nationalist or anti-imperialist, against a dominant force. Borrowing shortcuts from essentialism and brandishing these concepts only oversimplifies, a process appropriately described as producing "more rhetoric than insight." The analyst must be careful not to simply extrapolate the potential "common denominator" of identity as the sole basis of analysis. He or she must reestablish the diversity and complexity of the parameters of political sociology and economics, and not refer to the raison d'être of Islamism as primarily the behavior of social players. Once the Islamic cultural label is established, the second level of analysis is to determine why one (and only one) segment of the last generation has opted for a radical Islamist reading and militant manifestation of this reference. We know that this radicalization took place, on the one hand, against the ruling elites in the Muslim world and, on the other hand, against the West in general, and the United States and Israel in particular. We also know that this radicalization is both tactical and ideological. On a tactical level, the al-Qaida generation advocates the use of armed struggle over all other modes of political action, which have been completely discredited in the eyes of its members. On an ideological level, it relies on a stringent exclusivity. This group has come to define "Muslim" so narrowly and selectively that "nonbelievers" include not only Christians and Jews, but also the so-called "secular" elite in power in the Muslim world. Furthermore, the branding of nonbeliever also falls upon other Muslims opposing themselves to these elites (including the Muslim Brotherhood, who are called "political opportunists" by al-Qaida). They are accused of accepting democratic principles, a concession that gives primacy to a "human" law over the "divine" revelation. Finally, both the tactics and ideology of al-Qaida have been "de-territorialized" as its struggle has become increasingly a globalized one. The militants of al-Qaida cannot be considered as the only form of Islamist expression. Furthermore, ideological and political differences are inherent to the diversity of Islamist movements. To remove the specificity of al-Qaida, it should be situated within the spectrum of other actors of the contemporary Islamist phenomenon, including other expressions of the current phenomenon of resurgent Islamism. Whether in time or space, it goes without saying that the divisions between groups are shifting and porous because of ongoing developments and transformations which are complex and contradictory. The founding movement of Islamism, the Muslim Brotherhood, although denounced by al-Qaida, remains to this day a very large majority within the Islamist sphere. The Salafis seem to want to avoid the political modernization assumed a long time ago by the Muslim Brotherhood. In recent years, it is important to note the major resurgence of Sufi modernist tendencies which have been more involved not only on the educational and social terrain, but also politically. The Islamist phenomenon has long been perceived as radically antagonistic to the "mystic," "apolitical" or "moderate" qualities associated with Sufism in the eyes of all those, regimes or Western observers, who are looking within Islamic territories for a legitimate alternative to the Islamist challenge. In many respects, the border should now be tempered; new bridges can be built between two forms of mobilization that have never been completely contradictory. To be continued - This is the first of a three-part series - Part two will be published on Thursday, May 22, on the Middle East Times - Click the title of the article to go there. Islam has been part of Camden's history since an offshoot of the religion was introduced to Australia more than 70 years ago. Its headquarters were right on our doorstep. Baron Frederick Elliot von Frankenberg brought an unconventional form of Islam known as Sufism to Camden in the 1930s, spreading the teachings of Hazrat Inayat Khan, an Indian Sufi Muslim leader who founded the movement in 1910. Locally known as `the Baron', von Frankenberg was born in 1889 into an aristocratic German family. He became a disciple of Khan and shortly after immigrating to Australia in 1927, he bought a dairy farm known as Spring Hill on Burragorang Valley Road. It was in his lavishly decorated home that he shared with his Australian wife, Olive Pauline Ward Taylor (daughter of one-time Sydney Lord Mayor Sir Allan Taylor) that the Baron hosted his religious meetings. Members of the Sufi group stayed at the Baron's Camden home, attended regular classes and Universal Worship services. They would begin by exchanging a ritual peace greeting in Arabic, read from the writings of Inayat Khan and meditate. But the authorities saw the Baron differently. He was under police surveillance for several years during World War II when both his German background and his religious beliefs brought him under suspicion. A dossier kept by the National Archives of Australia includes letters to von Frankenberg written by his followers and intercepted by Australian security services, many of which are stamped ``secret''. There is also a transcript of an interview the Baron gave police shortly after his Camden home was searched in 1942 and documents seized. Police feared the Baron was a ``strong Nazi sympathiser'' who was transmitting and receiving messages from Germany by a radio in his basement. No radio was found. Among the records in storage are letters typed on Sufi Society Australian Branch Camden NSW letterhead; letters written by police describing Sufism as a ``cult''; letters from the then police commissioner about the investigation marked ``confidential''; and notes compiled by members of the intelligence section of the Royal Australian Air Force stamped ``secret''. Five years later, the Baron died aged 61 and so too did his local movement. He is buried in Camden. [Picture: Frederick Elliot von Frankenberg's grave. Photo by Jeff de Pasquale]. Peshawar: Prominent journalist Rahimullah Yusufzai was given the special peace and unity award named after great spiritual person Maulana Rumi for his contribution to journalism. The award that was recently instituted by the Pak-Turk International School and College has also been given to two academics, says a press release. Academic and author Dr Zahoor Ahmad Khan was given the award in recognition of his work in the field of literature while former University of Peshawar Vice Chancellor Dr Mohammad Javed was honoured for his services to education. The awards were presented to them in a special programme organised by Kamil Ture, Director Education of the Pak-Turk International Schools Colleges, Pakistan. The release said the awards were named after scholar and spiritual figure Maulana Rumi. These would be given as lifetime achievement awards in the fields of art, literature, education and journalism. [Visit the Pak-Turk website http://www.pakturk.org/]. When Hillary Clinton suggested recently that, were she president, an attack on Israel by Iran would result in the "total obliteration" of Iran, some recent visitors to that country cringed. As they did when President George W. Bush likened talking to Iran or Hamas with "appeasement." Lynda Howland, Tom Moore and Judy Bello have all visited Iran within the last year — Howland, in March — under the auspices of the Fellowship of Reconciliation [FOR], one of the country's oldest peace groups. Howland cites Iranian human rights activist Shirin Ebadi, the 2003 Nobel Peace Prize winner, who says, "Dialogue has to take place at three levels: at the level of people and civil society, among members of parliament of both countries, and by heads of government of both countries." People-to-people conversation is part of the process of building (or rebuilding) bridges. "There's no way anyone in Iran wants to go to war with anyone," says Bello, a computer programmer from Webster, who visited the country in December. Meeting with ordinary Iranians in the streets and shops of Tehran does not provide instant insight into what the government may do. But I do believe there is value in these people-to people missions. They can help Americans understand that there is more to Iran than President Mahmoud Ahmadinejad. The country is modern, with a growing professional class, including women. There is a blend of religious and secular culture. There is a deep appreciation for art, which is everywhere in public. "And they revere poets, not movie stars," Bello says. Indeed, says Howland, on any day, you can see Iranians visiting the tomb of Hafez, a legendary 14th-century Persian poet. "People gather every night," she says, "and they read poetry and place flowers on the grave." It is difficult to listen to people speak from the heart, to eat with them, to visit their homes, to hear them express their hopes for their children — and still see them as enemies. That's what people-to-people missions are all about. 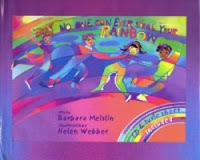 [Picture: No One Can Ever Steal Your Rainbow. Photo from FOR. Visit the Fellowship Of Reconciliation website http://www.forusa.org/]. I've heard that there are approximately 20 million people in the US who have what is called a 'personal-sized' business. And that number is expected to go to 32 million within the next decade. That's a lot of people solo in business. And if you're in that position, as I am, then you know how much there is to do on your plate. In fact, why would you even read this, when you could be getting something done instead? Yet the problem isn't productivity. The truth is, we're already incredibly productive. On your laziest, slackest days (well, maybe not your absolutely laziest) if you live anywhere in the so-called 'developed' world, you are still party to the most 'productive' society ever. There was an edge to my voice as I asked my wife and business partner the question: "And so why haven't you finished what you promised to do?" I meant it to come out nicer, more reasonable. But, it didn't. This is so often where we land, kerthunk, in business: are you getting it done, or aren't you? In the western world we think it's a good thing. Even if we complain about it, or hold spiritual values that say otherwise, I find that my clients (and me... ) orient around this question. Are you being productive enough? And did you realize that your desire for productivity is contributing to global warming, debt, and business struggle? How many things can you get done in a day, week, year? The idea of abundance is very alluring! There's plenty to go around, there's plenty for everyone, there's no reason you can't do it/have it all. Unfortunately, this runs smack into a very troubling spiritual teaching. 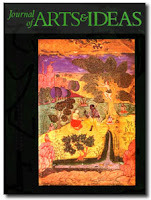 In the Sufi take on the creation story, Source is described as 'veiling' itself, in order to create the physical world. The physical, 3D, dirt and grass reality we live in is distanced from Source, because otherwise we'd all be dissolved into Oneness, with no individuality discernible at all. One of the first small business groups I ever facilitated, before Heart of Business even existed, was a six-week "Success" group. Every week, people would write down their goals and tasks for the next week. And every week we'd come back to find that everyone, everyone, without fail was leaving about 50% unfinished. The issue wasn't productivity: the issue was capacity. They were all overestimating their capacity by about 100% -- they thought they could do twice as much as they actually could. It's this inability to judge our capacity that leads to debt: you spend more than you have. It also leads to global warming, which is a kind of debt, in that we are spending more energy than we have the capacity to produce sustainably. And the interest is piling up in the atmosphere. It also leads to business struggle -- trying to do more than you really can, means you end up exhausted, cranky, and feeling like a failure. Your clients get your worst work, and you can't sustain what you're doing. This was a profound insight for me, when I realized that what was making my life so crowded was also what was maxing our credit cards at the time, and was also contributing to the ravaging of the planet. Is that it? Give up on your ambitions and your goals? Play small? No. But getting real about your capacity is a critical first step to bringing your ambitions and goals within reach. When you realize what your capacity really is, it becomes easier to say "no" to things that just don't fit, and "yes" to the things that are important in your business and your life. There's tons of other things that go here: having the right tools (like a larger computer monitor, or the right pruning sheers in the garden), having an office that is set up efficiently, getting regular exercise, etc. That's all good stuff, but the foundation of it all, I've discovered, is to really face the reality of your capacity. As you settle into the truth of what's possible in this finite world of ours, I bet you'll discover a lot more of the limitless abundance of love and peace and compassion in your heart. And with more of that love, we'll have more time and capacity to make this world a much more wonderful place. And to allow the spaciousness for your business to truly thrive. 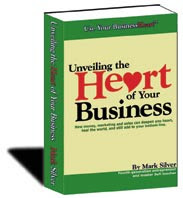 Mark Silver helps people in small business who want to make a difference in the world, and need to make a profit. He's the author of five books and programs, publishes a weekly article for personal-sized businesses Business Heart, and has been named as a master teacher in his Sufi spiritual lineage. [Visit the Author's Website http://www.heartofbusiness.com/index.htm]. De plus en plus nombreuses sont les jeunes filles à porter le hidjab dans les rues de Tachkent, y compris sur Amir Timour (Tamerlane), la grande artère de la capitale de la république d'Asie centrale, qui a gardé un fort laïcisme de son passé soviétique. More and more young girls are wearing hijab in the streets of Tashkent, including on Amir Timur (Tamerlane), the great artery of the capital of the Central Asian republic, which has retained a strong secularism of its Soviet past. Since the "Andijan tragedy" of May 13th, 2005, Uzbekistan has increased its political presence on Islam. The State wants to encourage the development of a certain version of Islam while keeping it under control. Just as it was done in the nineties, when a state Sufism was encouraged, rehabilitating an authentic Uzbek religious tradition while rebuilding it in its own way. [Pictures: Chorsu market in Tashkent. The new Hazrati imom masjid (5000 places, two minarets 52 metres/170 feet high, Tashkent. Photos: RFI]. Srinagar: Pakistani band Junoon on Sunday [May 25th] is performing on the banks of the Dal Lake, whose placid and jade-hued waters are fringed with willows and chinar trees against the backdrop of the magnificent Zabarwan hills. The event that has put the authorities here on their toes. A Pakistani Sufi pop band settling on to perform in Kashmir’s heartland Srinagar may be a pleasing outcome of changing times and the ambience of amity building up in the South Asian region, but the move is fraught with political connotations as well. After all, Islamabad has not officially given up its claim on Kashmir though to many, both in the neighbouring country and here in Jammu and Kashmir, it is only dragging its feet from what it would until a few years ago insist is its "jugular vein". At least, the hardnosed among Kashmiri separatists have not yet digested Pakistani artists heading for the "disputed territory" to perform and will certainly try to put their finger on the choice of Junoon. Hence, setting the affairs in order for the Sufi pop band and then keep the event free from trouble is in itself a challenging job for the authorities here. But what makes it all the more intricate for them is that among the audience will be President Pratibha Patil [*] and a host of dignitaries from Saarc [**] nations, besides Union minister Mani Shankar Aiyar, the governor of Jammu and Kashmir, Lt. Gen. S.K. Sinha (retd), and chief minister Ghulam Nabi Azad. This would be Ms Patil’s maiden visit to Jammu and Kashmir spreading over five days during which she is scheduled to visit forward Army posts in Tanghdar and Uri sectors to interact with the troops defending the Line of Control, address the Sher-i-Kashmir University of Agricultural Sciences and Technology (SKUAST) convocation in Jammu, inaugurate its news camps in Bhaderwah town, pay obeisance at the cave shrine of Mata Vaishnodevi tucked away in Trikuta hills and go for leisure at the meadow of flowers, Gulmarg. A tight security umbrella is being put up for the President’s visit. But it is mainly Junoon’s tryst with the place which is causing worry among the authorities, particularly the security forces’ officials. More than 10,000 people are being invited to see the band singing. The concert will be part of the celebrations marking the inauguration by the President of Kashmir Studies Institute at Kashmir University (KU). The concert has been sponsored by the Indian chapter of South Asia Foundation, a non-profit group, in collaboration with the KU. The hosts have invited government leaders and other important dignitaries from all the Saarc nations, but it is learnt that Afghanistan President Hamid Karzai has already expressed his inability to join in view of his pre-engagements back home. While his country is likely to be represented by its envoy to New Delhi, invitees like President of Maldives, Mr Mamon Abdul Gayoom, and his counterpart from Sri Lanka, Mr Mahinda Rajapaksa, will turn up seems to be improbable. Also, there is no word so far from Pakistan, Bhutan, Bangladesh and Nepal as to who will represent them or they are going to skip the celebrations. But given Islamabad’s stance on Kashmir, its participation in an event taking place in Jammu and Kashmir is unbelievable, say the Kashmir watchers. [Visit Junoon's official Website http://www.junoon.com/]. Hundreds of Muslims paraded through the streets of Bolton to celebrate the birth of the prophet Mohammed. More than 500 people, including many children, joined the annual procession through Great Lever. Participants carrying banners and flags travelled from Makka Mosque, on Grecian Crescent, through the streets, before returning to the mosque. The event also honoured the work of the late Sheikh Grandmaster Sufi Mohammed Aslam, a Muslim leader, who came to England in the 1960s. He settled in Blackburn and did a lot of work with young Muslims. His son Mohammed Riaz led the parade. Tassadaq Hussain, one of the organisers of the procession, said: "The purpose is to let the local community know the great work of Sufi Mohammed Aslam. "He developed youngsters, teaching them basic Islam and to live in harmony and peace in the community." Food was enjoyed before the parade and afterwards there were presentations on Sufi Mohammed Aslam's teachings, before more food. 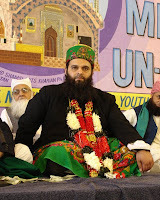 [Picture: Hazrat Khwajah Sufi Riaz Ahmed Naqshbandi Aslami. Photo from http://www.naqshbandi.org.uk/khanqahhome.htm]. Against the magnificent backdrop of the keyhole gate to the royal palace in Fes, Youssou N'Dour gave the live premiere of Egypt, his most groundbreaking album in years. 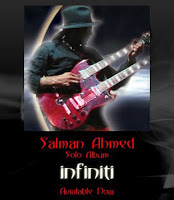 With Egyptian strings and Senegalese percussion, his incantatory voice soared into the warm night sky. The album is about Islam, the Mouride brotherhoods of his native Senegal and their message of peace. The occasion was the Fes Festival of World Sacred Music in Morocco (this year's event runs June 6-15), and the shrine of one of the saints he was singing about was just a few minutes away in the labyrinth of lanes that form the medina. Music festivals have mushroomed. There are those, like Exit in Serbia or Benicassim in Spain, that give you pop and rock stars, indie bands and DJs - the Glastonbury experience without the mud - but the ones I prefer are those that spring from their location and give you a window on the culture. Fes is the artistic and spiritual capital of Morocco. It's a glorious city in its own right, with a mosque and university dating back to the 9th century. All roads lead to the Kairaouine mosque and shrine of Moulay Idriss II in the heart of the medina, and en route you can enjoy getting lost in the best-preserved medieval Arabic city in the world. There are leather-workers, tailors, carpenters, donkeys laden with mint and piles of olives and fruit. You are bombarded with colours, smells and, during the festival, a glorious variety of music. The festival was started as a reaction against the polarisation of the Arabic world and the west and the idea is simple, to juxtapose sacred music of all cultures and religions. These take place in atmospheric venues like the huge Bab Makina (where Youssou performed), the intimate garden of the Batha Museum, free concerts in the city and late-night Sufi groups in a tiled garden pavilion. Often the combination of a great location, spectacular performance spaces and the right music that makes a festival work. For that it's hard to beat the new Jodhpur International Folk Festival (JIFF) in Rajasthan which had its first edition in October last year (jodhpurfolkfestival.org, October 10-14 2008). It's held in the halls, courtyards and ramparts of the Maharaja's Mehrangarh Fort, magnificently situated on a rocky outcrop overlooking the city. The opening is timed to coincide with the full moon and involves vivid costumes, dancing, processions, camels, flaming torches and some of the wildest and most exciting music on the planet. Mick Jagger, who's presumably got a few rock festivals under his belt, was there - not as a performer, but a punter. "I listen to a lot of Indian music," he said, "and a festival like this gives a great platform to folk artists." More than that, it is helping to sustain local musicians in Rajasthan, bringing an income and respect to highly skilled performers who are often marginalised in India's economic boom. Festivals like these enable you to experience great music where it belongs - alongside the food and the people. If you listen and share people's music, it's like sharing a little of their soul. [Picture: Opening doors ... Youssou N'Dour performing at the Keyhole Gate in Fes. Photo: The Guardian]. For a large part of her life, Ra'ufa (Sherry) Tuell was a very devout Christian, not someone recognizable as a future student in a Muslim chaplaincy program who intends to work with the poor, the homeless and the battered. But 15 years ago, Tuell found herself leaving her church and searching for something she could not define, she said in an interview. "It was a good period of growth, but very, very difficult. I came to the end of myself, so to speak, or the end of the search, and found myself crying out to God, and shortly after that I found myself at an introductory evening on Sufism." Sufism, or Islamic mysticism, appealed to her. "Sufism is like the bee that pollinates all the flowers," she explained. "The first in that continuum of coming closer to God or the creator Allah is the conversion experience and coming into the realization that we are a created being and that there is a creator and the maturation process is surrendering and becoming righteous or right with God. And then it progresses, like any maturation process, spiritually - everything grows," she said. "As a Sufi, I only want to be closer to God." Sufism led Tuell to enroll in the Islamic Chaplaincy Program at Hartford Seminary in Connecticut. In the United States, chaplains are often members of the clergy, but they also can be lay people providing spiritual advice and care in settings as various as colleges, prisons, hospitals and the military. Hartford Seminary offers the only accredited Islamic Chaplaincy Program in the United States. The program has two components. The first, a master of arts degree with a concentration in Islamic studies and Christian-Muslim relations, is designed to train students in Islamic religious thought and practice, historical and contemporary perspectives on Islamic societies, and theological and social interaction between Islam and Christianity. The second component, which results in a graduate certificate, seeks to develop skills a chaplain needs for pastoral care and multifaith relations. Previously, Tuell had done lay chaplaincy work and taught Sufism in prisons. As part of her program at Hartford, she expects to spend a year as an intern chaplain in a hospital. After that, she said, "I have a strong urge to work as an interfaith chaplain with the poor, the homeless and the battered - those who have fallen between the cracks of society and are unwanted and uncared for." "I see myself as an interfaith person," she added. "I believe that we're all the children of Allah, that there is only one creator, and Allah is very diverse in manifesting creation, and I find great beauty and depth and richness in the various ways of coming into relationship with the creator - whether it be Christianity, Hinduism, Buddhism, Islam." Tuell's brother, sister and son have been supportive. "My parents have both passed away in the last five years," she said. "Most of my friends are like me: they're either Sufis or they are so spiritually oriented that they can't help but support a practice that is about love and service for others." "To me, true Islam is love and service to others in need. It's the pouring out of ourselves to others in service to Allah," she said. [Picture from: ICP Hartford Seminary. Visit the Islamic Chaplaincy Program Web site http://macdonald.hartsem.edu/chaplaincy/index.htm]. In a darkened, cramped venue above a west London fitness club a crowd of young men and women talk animatedly as they eagerly await the night's entertainment. A DJ, dressed in the obligatory baggy pants and shades, turns down the volume on his turntables as the first act of the night takes the stage. Heavy bass and beats, intertwined with complex samples and scratching, resonate around the room. This could be the start of any other hip-hop gig. But when the rapper begins his first song, you know this is something entirely different. "Bismillah al Rahman al Rahim!" he shouts. "In the name of God, the Compassionate, the Merciful" – the opening lines of the Koran. Welcome to the world of Islamic hip-hop, a new style of urban music that is becoming increasingly popular among Britain's young Muslims. The normal time one might hear the opening words of the Koran resonating in song is when a muezzin calls on the faithful five times a day from the top of a minaret, in an Arabic tradition that dates back 1,400 years. Tonight's "Bismillah" is a thoroughly modern, Westernised interpretation of that tradition but its aims are remarkably similar: to remind the audience of the "One God Allah" before the show begins. A closer look at tonight's venue, the monthly Rebel Musik night in Ladbroke Grove, quickly clears up which particular genre of hip-hop we are now listening to. Pinned to the door of the club is a sign politely reminding the audience not to bring alcohol inside. Religion and bling-obsessed hip-hop might not seem the likeliest bedfellows but, even within mainstream rap, faith has become an increasingly acceptable topic to rhyme about – Kanye West's song, "Jesus Walks", is a recent commercially successful example. In the United States the relationship between Islam and hip-hop has always been a strong one. Prominent commercial Muslim rap stars like Mos Def, Chuck D and RZA have long rapped about their religious influences, while Nation of Islam followers producing politicised Muslim rap are many. But since the mid- to late-Nineties a new genre of Islamic hip-hop has emerged, one that rejects the misogynistic, materialistic overtones of gangsta rap and instead concentrates almost exclusively on using hip-hop as a way to preach about Islam. One of the earliest Islamic hip-hop bands to try their luck in Britain were Mecca2Medina. Set up in the late 1990s, Mecca2Medina switched from the usual diet of extolling the triple "hip-hop virtues" of money, drugs and women and began recording songs with a distinctly Islamic edge. But, initially, they found few fellow believers to play to. "To be honest, most of our early fans weren't even Muslims," Ismael South, one of the band's three members, admits as he sips sugary mint tea in a café on London's Edgware Road. "Our fans were generally from the underground scene, which was getting increasingly tired of the direction mainstream hip-hop was going in." All the organisations that had once condemned us for rapping about Islam suddenly clamoured to get hold of us. They needed people to represent and talk to young British Muslims." Although Islam has strong musical traditions – Sufi chants and the devotional songs known as nasheeds are just two examples – some orthodox interpretations of Islam believe that music itself is forbidden. The confusion stems from the hadiths, words and sayings of the Prophet Muhammad that Muslims use, alongside the Koran, as the source of all guidance. Although there are a number of hadiths in favour of music, there were also times when the Prophet appeared to voice his disapproval of musical instruments, and scholars still remain divided on the issue to this day. One of the reasons why rap is such a popular form of music is that it is possible to circumnavigate these arguments entirely by relying on just beats and vocals. Nowhere is the role of rap and Islam more controversial, however, than when it comes to female hip-hop artists. Rabiah Abdullah, 21, is a typical example of the type of confident outspoken Muslim women currently gaining strong reviews and acceptance from their peers. As Pearls of Islam, Abdullah, her younger sister Sakinah, and friend Khadijah Muhammad are one of the few female acts willing to use musical instruments and singing in their set. Their Sufi-inspired songs steer clear of the politics that so often creep into the genre and instead concentrate on the idea that Islam, like Christianity, is fundamentally a message of love – "love is the bind that binds the heart" is a frequent refrain found in their songs. "When we first started out it was such a new idea, not just Islamic hip- hop music but also the idea that Muslim ladies are able to do so," says Abdullah, her smiling face wrapped in a brilliant turquoise hijab. "There are these silly misconceptions about Muslim ladies." Sakinah, Abdullah's equally confident younger sister, remembers what it was when they had just started: "I remember this one time, we'd only just started rapping and we got invited to an event to perform. I think the person organising it didn't really understand what our act was about because the venue was full of those Saudi-type men, the Wahabi-minded Muslims. We jumped on stage wearing bright-coloured hijabs and started rapping and they just walked out." Other female acts have begun using their position as artists to try and persuade their Muslim "brothers" to give women a greater voice. Poetic Pilgrimage, a powerful vocal duo consisting of two sisters, whose motto features a veiled woman holding a Kalashnikov with a flower in the barrel, are one of the major bands who rap as much about encouraging social change within the Muslim community as they do about the religion itself. "The way things have grown is truly remarkable," says Muneera Williams, one half of Poetic Pilgrimage. "A few years ago we were one of the few female acts on a struggling scene. Now we have a magazine devoted to the genre, national tours, regular music nights across the country and we even have our own record labels." [Picture: Poetic Pilgrrimage Vocal Duo. Photo from http://www.muslimhiphop.com/index.php?p=Hip-Hop/Poetic_Pilgrimage ]. “The exhibition, performances and discussions being held at the Shabazz Center set a standard of excellence that we believe Dr. Shabazz would have approved of when she set about to found a world class institution to honor her late husband’s legacy,” states Dowoti Désir, the Shabazz Center Executive Director. Harlem, NY: The Malcolm X & Dr. Betty Shabazz Memorial, Educational and Cultural Center (The Shabazz Center) in collaboration with Def Dance Jam Workshop (DDJW), an inter-generational company of performing artists with (and without) disabilities, celebrates the 83rd birthday of El-Hajj Malik El-Shabazz – Malcolm X with an evening of special activities. A session on Turkish Dervish Whirling follows. Participants are encouraged to wear comfortable clothing and shoes with leather bottoms. The evening’s celebrations continue with music by Rachiim Ausar Sahu and Salieu Susso and close with the screening of “The Final Days of an Icon” by French filmmaker Ted Anspach. Conceived of and directed by DDJW Founder Aziza, the movement piece is a multi-media offering inspired by the teachings of Muhammed Celaleddin-i-Rumi (The Sufi Poet of Love) known as Mevlana to some and Rumi to others. piece coincides with the 800th anniversary of Rumi’s birth and the 83rd anniversary of the birth of Malcolm X, El-Hajj Malik El-Shabazz. It was performed at The Shabazz Center on May 17th. Aziza is an ordained Interfaith Minister and Harlem native whose unique and highly effective approach to working with the differently abled community has been recognized around the world. 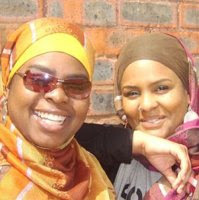 She met Mete Horzum, the Whirling Dervish, during her own pilgrimage to Konya in 2007, and thus began the collaboration and cultural exchange that brings Rumi’s philosophy and spiritual practices to the Malcolm X and Dr. Betty Shabazz Memorial, Educational and Cultural Center at Harlem’s Historic Audubon Ballroom. “What Aziza, Mete and all of the collaborators and artists have created is profoundly moving,” said Dowoti Désir, the Center’s Executive Director. “It brings together two powerful ancestral spirits, Rumi from the East and Malcolm from the West, in a perfect reflection of how profound faith and love of community translate into acts of resistance and how mystic activism knows no boundaries -- temporal, geographic or racial." The Shabazz Center is presenting the work of Chakaia Booker, a highly regarded artist and arts educator, who creates large works out of discarded truck, car and bicycle tires. Located in the lobby of the historic Audubon Ballroom, the exhibition entitled “Destiny Unchanged” will be on exhibit until June 29th, courtesy of Malborough Gallery and the Broadway Mall Association as part of the May celebrations of both Malcolm X and Dr. Betty Shabazz birthday festivities. Born in 1937 in Chattanooga, Tenn., and receiving a bachelor’s degree and Ph.D. from the University of North Carolina and a master of arts degree from the University of California at Berkeley, Barks is renowned for his collaborative translations of the poetry of Jelaludden Rumi, a 13th-century Persian mystic. “A certain person came to the Friend’s door and knocked. he sleeps with his white top hat over his face. for a new-painted sky in the tiniest ballroom imaginable. Turning on his side. Now he’s gone. Having taught American literature, poetry and creative writing at the University of Georgia and other universities for more than 30 years, Barks’ translations of Rumi have grown to 19 volumes and led to the sale of more than three million copies. It has been suggested that this makes the Rumi the most-read poet in the United States. 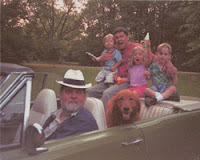 [Picture: Coleman (Professor Coleman Barks) and Boo, Woody, Benjamin, Keller, and Tuck. Photo from Prof. Barks' Web site http://www.colemanbarks.com/]. Three recently published books authored by Indiana University-Purdue University Fort Wayne professors provide examples of the wide-ranging academic research and scholarship of the school's faculty. Erik Ohlander, 33, is an assistant professor of religious studies and an expert on religious history, mysticism and Islam. He joined the IPFW faculty in August 2004. His book about the development of Sufism - mystical Islamic belief - in the medieval period in the Mideast was released in February. It is about a person who was significant in popularizing Sufism throughout the Muslim world in the 13th century. Ohlander traveled to Turkey and several other countries to review archival texts in their original language while researching the book. “It's based on terra incognita and lays bare an understanding of the historical framework for the rise of this form of religiosity,” Ohlander said. The book is aimed at academics interested in the history of Sufism and other mystical and ascetical movements. But there is growing interest from the general public about the Muslim world and, specifically, Islam. At IPFW the growing interest is demonstrated by the increasing number of students interested in religious studies. The university has developed at least six new courses since the program started in 2003, and the number of students seeking a minor in religious studies has doubled. “There is a hunger and a thirst for being exposed to the academic study of religion as a complement to other studies here at IPFW,” he said. [Picture: IPFW Professor Erik S. Ohlander's new book is about Sufism, mystical Islamic belief. Photo by Samuel Hoffman/The Journal Gazette]. The dargah at Ajmer Sharif today attracts lakhs of people — Muslims, Hindus, Christians and others — from the Indian sub-continent and from other parts of the world, depicting a rare blend of religions. People assemble at the shrine during the week-long Urs every year to beseech for fulfilment of their prayers. In those days, Samarkand and Bukhara were great seats of Islamic learning. Khwaja Moinuddin Chishti visited the seminaries of the two cities and acquired religious learning at the feet of eminent scholars of his age. He visited nearly all the great centres of Muslim culture and acquainted himself with almost every important trend in the Muslim religious life. The place from where the Khwaja’s extensive missionary work was taken up is now known as Chillah of Khwaja Saheb. The residents of the city admired the wisdom, purity and grace of Khwaja Gharib Nawaz and people from various walks of life cherished to be his disciples. The vast number of his followers, both Hindus and Muslims, emulated him and symbolised his dictum of “Sulh-i-Kul” (peace with all). He interpreted religion in terms of human service and exhorted his disciples to develop a “river-like generosity, sun-like affection and earth-like hospitality”. The highest form of devotion, according to him, was to redress the misery of those in distress and fulfil the needs of the helpless and feed the hungry. Ajmer Sharif emerged as one of the most important centres of pilgrimage in India during the reign of Mughal Emperor Akbar (1556-1605). Akbar undertook a journey on foot to accomplish his humble wish to reach the place and presented a big cauldron for cooking food after his conquest of Chittorgarh. A small cauldron was later presented by Emperor Jehangir in 1646. 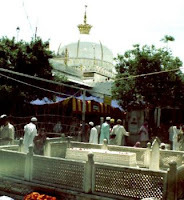 The week-long Urs, observed every year in the dargah, commemorates the event in 1236 when Khwaja Gharib Nawaz entered his cell to pray in seclusion for six days, at the end of which he died. The Urs — observed between the first and sixth days of the Hijri month of Rajab — is also the much sought-after occasion when “Jannati Darwaza” (door to heaven) is opened for the devotees. People from all religions offer chadar at the grave of Khwaja Moinuddin Chishti. Pilgrims visiting the shrine in large numbers every year can look forward to finding themselves in spruced up surroundings with an ambience promoting spiritual contentment and fulfilling the mystical yearning to find the true purpose of life. Evidently, the message of Khwaja Gharib Nawaz does not admit of time. It is as true today, as it was when delivered centuries ago. [Picture: An important centre of pilgrimage: Devotees at the Ajmer Dargah. Photo by Gopal Singer]. Book fair, children’s book illustration exhibits will be held during the week and some stories from Rumi’s Masnavi will be staged on May 17. A meeting on “Mystical Thought in the Persian Literature” will be held at the city library on May 16. On May 15, another meeting on Iranology entitled “The Persian Gem” will also be held during the week to introduce Iran’s tourist attractions to Croatian citizens. Dariush Mehrjuii’s “Mom’s Guest”, Rakhshan Bani-Etemad’s “Mainline”, Abbas Rafei’s “The Sun Shines on All”, Azizollah Hamidnejad’s “Tears of Cold”, Kiumars Purahmad’s “Night Bus” and Bijan Mirbagheri “Day Coming” will be screened at Cinema Urania of the city. The event is sponsored by Iran’s cultural attaché office in Zagreb. Chandigarh: The Punjab Governor and Administrator, Union Territory, Chandigarh, Gen. (Retd.) S.F. Rodrigues, while inaugurating a seminar on “Mystical Dimensions of Religions in India – Peace through Sufism” emphasized the need for combining religious ethos and the cultural values of our tradition with development strategies for empowering our people and helping them to meet their daily necessities of life. General Rodrigues said that we have an ancient history and glorious past, enriched with the teachings of great saints & sages, who professed the unity of mankind and focused our attention on the fundamental issues of life. They also urged that the goal of the realization of God were closely linked with our social life and the concept of serving our needy brethren, to establish equality, peace and harmony in our Society. Our Indian Constitution, broadly based on these philosophies, has given us fundamental rights and fundamental duties. He said that we are always conscious of our fundamental rights but pay little attention to our fundamental duties to our nation, society and our people at large. He said that immediately after Independence, there were many challenges before our Nation and it was because of the commitment and sincerity of our people that India emerged as a homogenous nation, with a ‘unity in diversity’ culture. After 60 years of Independence, our Country has a distinctive position in the comity of nations and huge opportunities to move forward on the path of progress and prosperity. We all must come forward to play a participative role in the developmental process for improving the quality of life and building of a prosperous future. The Sufi Foundation of India must take the lead in this gigantic task of the reconstruction of the material, cultural and spiritual life of our people. Dr. A.A. Siddiqui, Chairman of the Sufi Foundation of India in his welcome address highlighted the goals, activities and achievements of the foundation. Prof. Akhtar-ul-Wasey in his keynote address on the occasion stressed the need for creating an ambience of goodwill and harmony in our social system. He said that Sufi saints pursued their goals based on the truth of the life and attainment of divine, love and compassion for the poor and needy. Various eminent educationists & dignitaries from different faiths and religions participated in this Seminar. 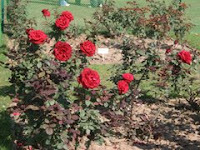 [Picture: Chandigarh's Rose Garden. Photo from Chandigarh Tourism, the Hub of North India http://www.chandigarhtourism.gov.in/]. The mausoleum of 20th century Kashmiri poet and Sufi saint Suchh Kral was destroyed in a fire in south Kashmir Friday. The police said the fire broke out in the morning at the old timber structure over the poet’s grave in Inder village of Pulwama district, 45 km north of Srinagar. “Before fire tenders could control the blaze, the wooden structure was completely gutted,” a police officer said here. “Even today when you go to the countryside during harvest or in the sowing season, people sing (the poems of) Suchh Kral as they understand his terminology very well,” he added. [Picture from: J&K Tourism Department Official Website http://www.jktourism.org/p_gallery.htm]. Pasrur: Coming on the heels of the Indian Punjab government making Punjabi compulsory for all official work, the Pakistani Punjab Minister for Sports, Culture, and Youth Affairs Dr Tanvir-ul- Islam has outlined measures to be taken to promote Punjabi language, apart from extending patronage to artists to help enhance cultural activities in the province. Speaking to reporters he said that a number of projects would be carried out by the Lahore Arts Council and Punjab Arts Council. "In order to preserve the cultural heritage of Punjab and promote its language and mores, a Punjab Institute of Language Art and Culture has been set up, which is at the moment translating Sufi poetry in regional languages to foster ties of brotherhood and harmony among the provinces," he added. "My father taught me how to simplify life. 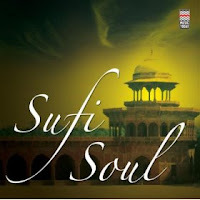 That is why Sufi music became more and more closer to my life." Thiruvananthapuram: Zila Husein Khan, the versatile woman Sufi singer of the country, put her journey in music in such simple terms. Putting her heart and soul into her words at the meet-the-press held in the city on Thursday, the lady with strong convictions and immense energy poured out her love for Kerala. "The beauty of Kerala I saw from my flight this morning - the beach, the sea, the churches, temples, mosques and then greenery - is a combination of the culture, heritage, music and philosophy of all the religions here..." Zila went on. And she even sprang a surprise for the State, when she announced that her proposed school of music, ‘Ustadgah’ (for empowering children, especially those in rural areas, by teaching them music and helping them earn their livelihood) will have its base in Mumbai and a branch in Kerala! "Kerala came into the picture some five months ago and I just hope that everything materialises soon," she said, flashing a hearty smile. So, don’t be surprised if Zila sings some Malayalam poems at Friday’s performance! She is undertaking the work of her school in close association with the UNICEF. "I will go and pick the talent in our rural areas. And will ensure that they become professionals," she said. Zila’s versatility and vision have even made her the cultural advisor to the Commonwealth Games 2010, besides being an official member of the organising committee of the Games to be held in Delhi. "I don’t want that to be just a post. If I chance upon children who are talented in sports, I will fund their training," she said. Zila, daughter of the legendary sitar maestro Ustad Vilayat Khan, is the seventh generation of an unbroken link in the oldest school of sitar and surbahar in India, ie the Imdad Khani Gharana, and the only singer in the gharana. "It was the genre that chose me, not me who chose the genre," she said. However, there was a time when girls in the family were never allowed to sing. "But my father broke that practice. You can say I changed him. He taught me like a son. He taught me a lot about women’s empowerment and gender equality," said Zila. In fact, Vilayat Khan held a public ceremony in which he made Zila his ‘gandabandh shahgird’ (a formal student) enabling her to carry his name forward as one of his successors. "He used to play Sufi music on his sitar and I would listen carefully. Sometimes, he used to wake me up at night and would make me memorise a ‘bandish’ he had composed. He would say, Arre... ye seekhle... (Hey, you learn this). He treated me like a computer!," Zila said. Nevertheless, even after becoming her father’s student, Zila did not sing in public for the next 10 years or so. "For me, it has been a ‘zikr’ (remembrance of God), rather than a performance," she said. When her son turned 10, her father and husband insisted that she gave a public performance. And she finally did, some 7 or 8 years back. And, has done many memorable concerts till date, besides cutting out seven solo albums. Her latest work is ‘Zila- The Girl Child’, which advocates women’s rights. She has sung the lyrics by women poets in this work. And this is historical because she has sung the Sufism and teachings of the first-ever woman Sufi, Hazrat Rabia Basri, born in 717 AD. Commenting on commercialisation of music, Zila said, "I can’t point my finger at somebody and be judgmental. Because, if I were in their place, I also might have done that. It is about choices and the background you have. I had a wide range of choices before me," she said, adding, "In my case, this is my work and this is how I want to live. I feel blessed that I can live the way I want." Before signing off, she said, "I don’t know whether you’ll like my music. But, just pray for me. Because there is nothing greater than that you can do for others. "Thus emphasising what she has said always, "I sing for God." The singer (better known as ZHK) is on her first trip to Kerala for a performance to be staged as part of the Swaralaya Dance and Music Festival at Nishagandhi (at 6.30 pm on Friday).